Kevin Love, left, and LeBron James, right, challenge Spanish forward Pau Gasol during the London 2012 Olympic Games men’s gold medal game between the United States and Spain at the North Greenwich Arena in London. Update (July 11, 12:30 p.m.): It’s official: LeBron James is going back to the Cleveland Cavaliers. Perhaps we should collect data on what percentage of NBA rumors on Twitter turn out to be true. But as of late Thursday afternoon, the Internet was abuzz with speculation that LeBron James will return to Cleveland. If it happens, the Cavaliers may need some additional help to build an instant championship contender for LeBron. In an article earlier Thursday, I projected the Cavaliers’ record should they sign James and Ray Allen but otherwise stand pat. It wasn’t so great: 52-30. That would be enough to make them one of the better Eastern Conference teams but probably not good enough to win a championship. But one of the reasons for James to choose Cleveland over Miami is that the Cavs have a lot more flexibility in how they might build a team around him. 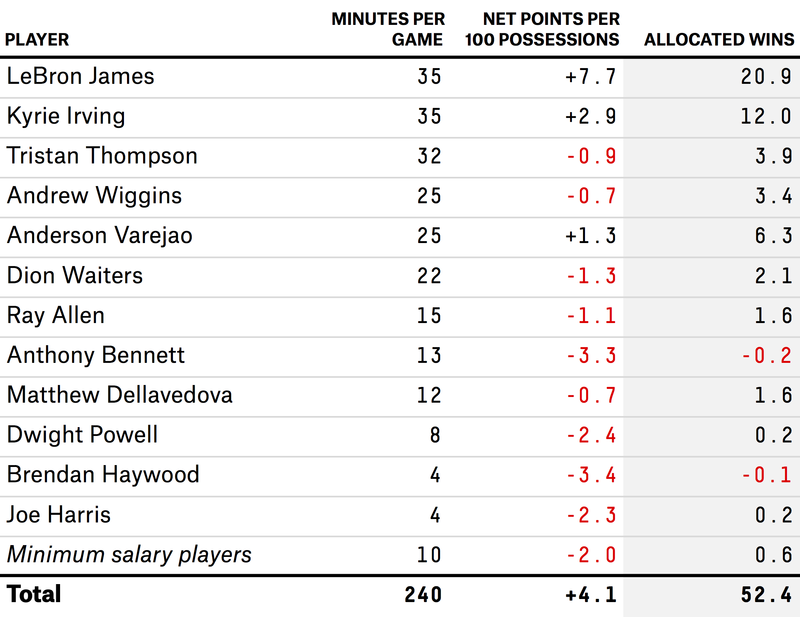 The Cavaliers also have some young assets — including No. 1 overall draft pick Andrew Wiggins — who could be traded for another star. 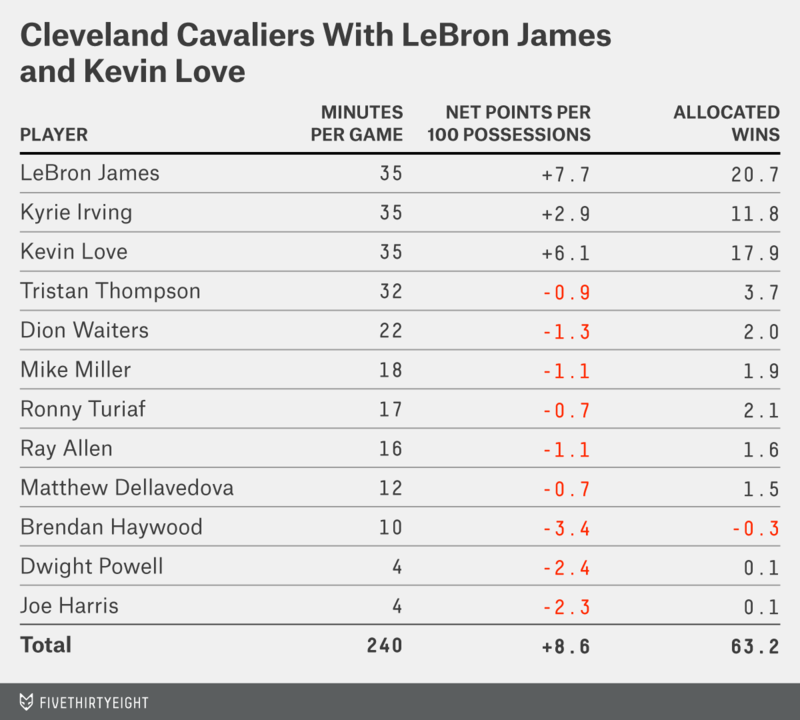 So let’s imagine that not only the LeBron rumors but also those involving Minnesota’s Kevin Love are true. Cleveland, after signing James, uses Wiggins as the centerpiece of a package that goes to Minnesota for Love. It also gives up Anderson Varejao and Anthony Bennett, and gets Ronny Turiaf in the deal — the salaries look like they’d work out. It’s a slightly weird roster, with players splitting time between several positions. 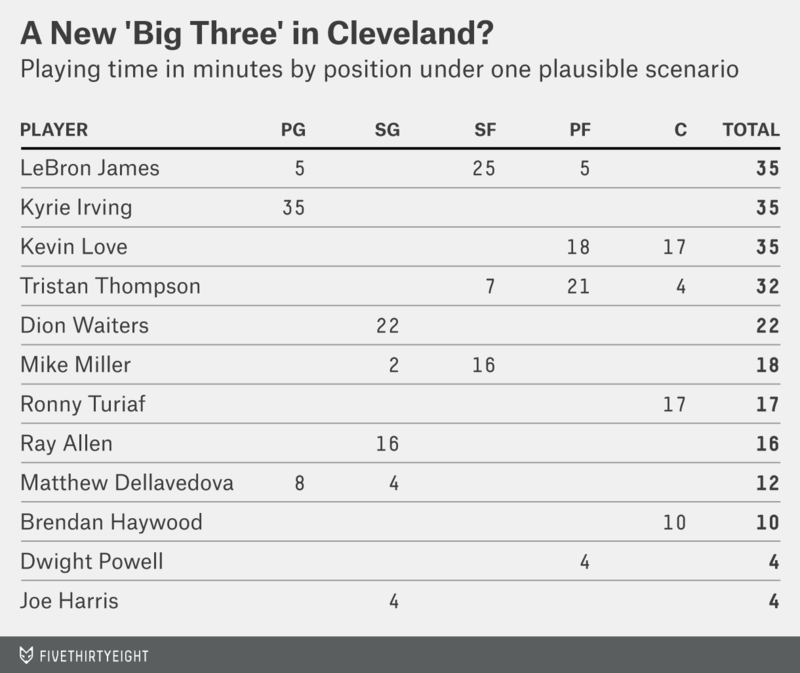 But because James could be an All-Star at any of the five positions, that’s as much a feature for Cleveland as a bug — the Cavs could go big, small or anything in between. This roster could use a defensive specialist or two off the bench, and a true backup point guard, but those are fairly petty complaints. How would this team perform? Using the same process from Thursday’s article, which projects a team’s win total based on a system called Statistical Plus Minus, it’d be on track for a record of 63-19. This would be a much better opportunity for James than anything likely in Miami, which finished with a 54-28 record last year and which would probably have about the same record if the Heat brought back James, Dwyane Wade and Chris Bosh. 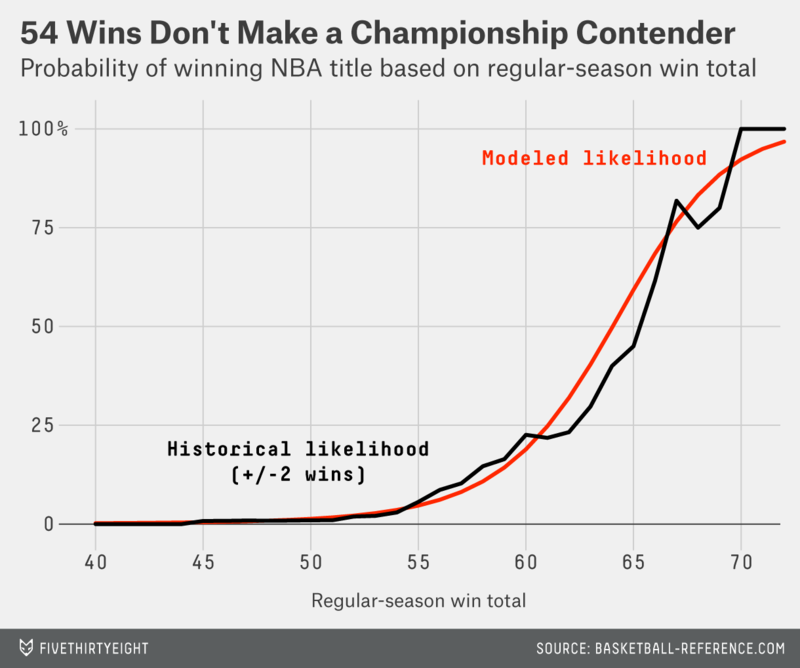 A 54-win team has less than a 5 percent chance of winning an NBA title; a 63-win team has about a 40 percent chance. The Cavs could be better than this still — perhaps in the range of 65 to 67 wins — if they managed to acquire Love without giving up Varejao.